Home › Home and Kitchen › Kitchen Royal Black Ceramic Knife 9 Piece Set With Sheaths And Vegetable Peel.. 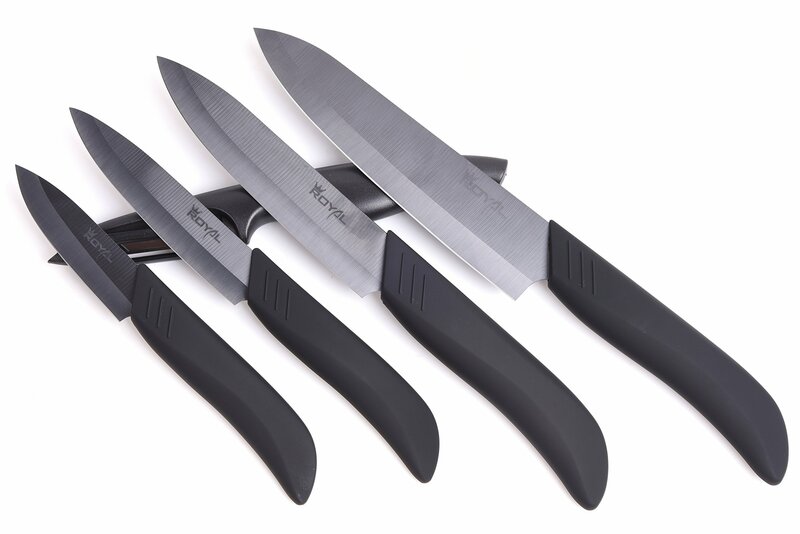 Kitchen Royal Black Ceramic Knife 9 Piece Set With Sheaths And Vegetable Peel..
A SHARP KNIFE MAKE FOOD BECOMES BEAUTIFUL AND DELICOUS COOKING Take It As A Great HolidayGift, They'll Love It And Fell In Love With Cooking! Effortlessly Cut Meats,Vegetables& Fruits Extremely sharp and never blunt Do not interact with food like steel Easy to clean Not easy breed bacteria Keep food original flavor Features: Super Sharp Zirconium Ceramic Black Blades Ergonomic Handles Light Weight Black blade sharper than white Blades 9 Pieces Include: 1- 3" Paring Knife (paring fruit/vegetables) 1- 4" Fruit Knife (cutting fruit) 1- 5" Chef Knife (slicing/food prep) 1- 6" Santoku Knive (cutting, dicing, mincing) 1- Ceramic Peeler 4- White Blade Covers Simple simple gift box Ideal Gift For: Christmas Wedding Birthday Anniversary Mom Dad Wife Husband 100% Money Back Guarantee - Order Now!